Bonus: ‘John Thomas Smith drew compassionate portraits of the beggars of London at the beginning of the nineteenth century.’ Also Julius Mendes Price’s London Types (cigarette cards, 1919). Street Life In London (photography, 1870s). I wasn't aware of Dempsey, thanks! These are very nice: technical shortcomings aside, there's always more imagination and life in painted portraits than photographs. 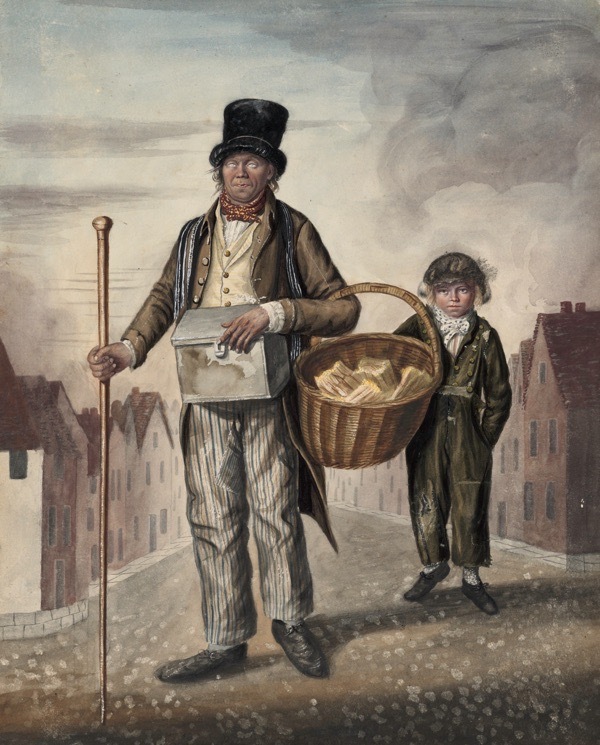 The reduced size and softer detail of the subjects' surroundings (as in Mark Custings (commonly called Blind Peter) and his boy, Norwich, 1823) also makes them rise above their circumstances. 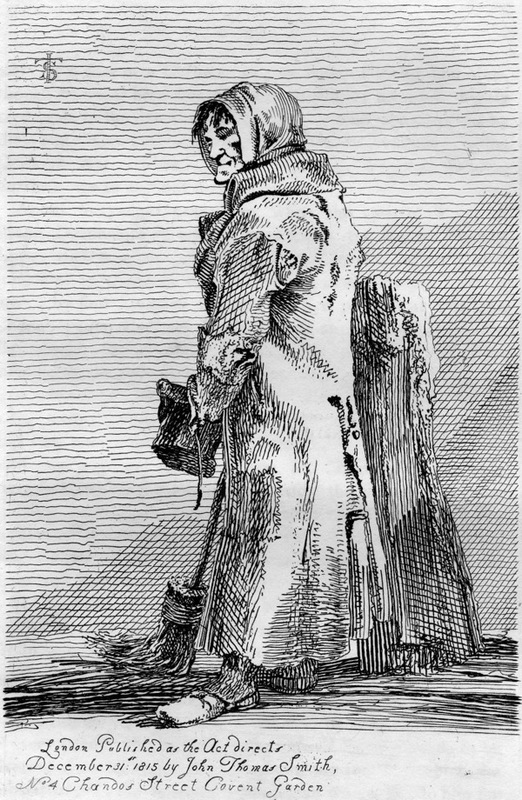 ...wonderful characterization and excellent draftsmanship by John Thomas Smith also. Based on the excellent 2017 exhibition, Dempsey's People, at the Australian National Portrait Gallery. The exhibition website includes a lot more images and detailed commentary. There's real scope for a talented artist to undertake a similar project with London's beggars and street people today. As cenoxo says, photographs just aren't the same. What I like about the Dempsey portraits is their straightforwardness. They don’t seem to be aiming either for pathos or the picturesque. Neat! Among other treats, now I know what the muffin man looks like. Wonderful view of the times. I would now like to be referred to as "Bobby Re-caning a Chair." These are fascinating - thank you. Great attention to detail,note the Porter with bandaged gouty/ulcerated leg having to wear a soft slipper,to make his vigil bearable. These are gorgeous! I sincerely want to know more about all of these people, so I followed verstegan's link and have spent the last half an hour happily reading backstories.